Are you a candidate looking for a government job? Here is a great opportunity for you! 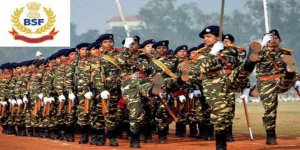 The BSF Recruitment 2019 is open for filling 58 vacancies in various disciplines. The candidates who are interested to apply for the posting may look for the official notification, regarding the eligibility and qualification and apply for the posting. The last date for the application to reach the mentioned address is on the 31st of December 2019. The selection process will be based on the written test and interview. The candidates may need to be updated with the official website for a number of other information regarding the recruitment process and also on the upcoming job vacancies to get into the government sector or to serve for the nation. The candidates applying for the BSF 58 Group A Recruitment 2019 may check for the exact age limit and available relaxation form the official website. Step 2: Look for the eligibility criteria and the required qualifications, if you are interested and eligible for the post you may apply for it. Step 3: Download the job application form and fill them appropriately, check for the documents to be attached by it and attach all the documents and send them to the specified address within 31st December 2019. Photocopy of educational certificates, license, current instrument rating, other technical qualification, flying log book, flying summary, flight safety certificate, flying fit and physical fit medical category certificate and experience certificate duly self-attested. Selection for the post of Border Security Force Recruitment 2019 will be based on written test and interview. The candidates may check the official website for particular information from the official website.